When looking for accent wall color suggestions, sometimes you don't need to look any further than what's already in your home. After all, an accent wall is a great way of brightening a room or adding interest to a space, so let what's already in the room be your color guide. You've spent hours choosing the colors to paint each room of the house. You've selected your drapes, your throw rugs and pillows and the room is nearly complete. Something is missing however, and you decide that what's needed is an accent wall. After all the color choosing and coordinating you've already done, making that last choice might seem overwhelming. So when it comes time to choose the final wall color, take accent wall color suggestions from what's already in the room or adjacent rooms. Color can do a lot of things for a room. It can brighten the space, darken the space or even visually enlarge or shrink the room. So if you're having trouble deciding on an accent wall color, or you're trying to decide between two colors, let the space tell you which shade to use. Cool colors, such as blues, greens and grays, visually recede from the eye. This makes them the perfect choice for small spaces. Adding an accent wall with a cool undertone can push the wall outward, visually making the space appear larger than it really is. Warm colors, on the other hand, such as orange or yellow, contract when viewed. This is why these colors are thought of as "cozy." So if the room you're painting is large, with high ceilings and the look you are trying to achieve with an accent wall is a conversation area or other cozy space, try using a warm color on that wall. 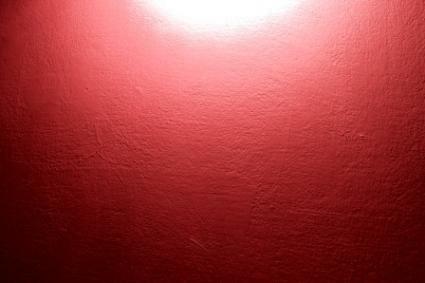 This does not mean that if you love the color red, and are painting a small room that you can't use red on the wall. Just choose a shade of red that has a blue, or cool undertone to it, like raspberry or burgundy, rather than fire engine red. Some colors, such as green, can run the spectrum from warm to cool; apple green with its yellow undertones reads warmer than sea green, with its cool blues. Try just moving the color you've chosen up or down on the color spectrum slightly to adjust its tone for the room to be painted. One of the most important things to keep in mind when you are painting an accent wall is to keep the saturation or hue of color the same with both walls. For example, turquoise may be a very hot color of accent wall choices right now, but it's going to appear jarring and out of place against a pastel colored living room. Pairing turquoise with raspberry red or apple green, on the other hand, will give you a bold look that is just right. If you're choosing an accent color by picking it up from the colors already in the room, just adjust the color's saturation to meet the hue used on the remaining walls for a cohesive effect. While it can be tempting to follow trends and choose one of the hot new shades of orange, apple green or turquoise for your accent wall, be sure that you are choosing a color that you truly enjoy looking at. Remember that avocado green and harvest gold were once popular, trendy colors. Nothing will date a room faster than simply following a trend. Therefore, choose a color that you think you will continue to enjoy for years to come, particularly if it's not in the budget to repaint any time soon, or if the house will be going on the market within a few years.